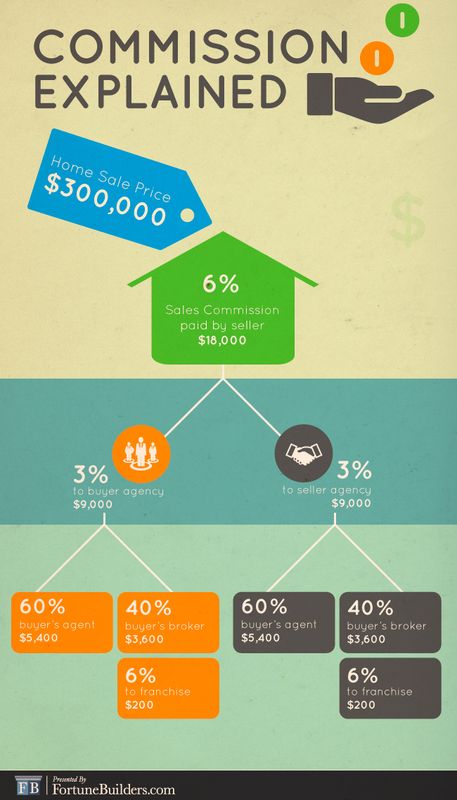 Breaking Down The Real Estate Commission: Where Is Your Money Going? In building a highly motivated and talented real estate investing team, there may be no other component more important than the real estate agent you choose to do business with. Subsequently, what real estate team would be complete without a real estate agent in their corner? This individual is perhaps the most valuable addition to your company, as they will be responsible for finding, evaluating and acquiring prospective deals. Real estate agents are a key component of your dream team. Their experience can facilitate an efficient and successful transaction more times than not. However, for one reason or another, some novice investors immediately shun the idea of using real estate agents to assist them with real estate investing. In reality, they can provide access to great properties, help add to your real estate investing education and can be used to perform a lot of tasks that would otherwise eat into your schedule. In short, they can actually save you a lot of valuable time and money. One of the biggest reasons that investors shy away from using realtors is the commission that they demand. However, when you look at the actual numbers and what you can save in time and marketing expenditures, as well as by having a professional negotiator on your side, it is well worth it.